WHAT do you call mature? I see threads on here every day with bucks that are not mature with many many opinions on them being mature. My question is this.... What do you call mature? Secondly let all share pictures of "Mature" and " OLD" bucks for others to see. First lets define what mature means for a White-tailed deer..... a buck is mature when he reaches "skeletal" maturity. Whitetail bucks generally reach skeletal maturity at 4½. Most biologists refer to bucks 1½ to 2½ as young or immature, 3½ to 4½ as middle-aged, and 5½ or older as mature. I feel there is a BIG diference between a "mature" buck and a "OLD" buck. Mature doesnt always mean they have reached there antler growing potential. Actually quite the opposite, once they reach skeletal maturity they put forth much more effort in growing anlters each year. In some exteme cases bucks have grown their largest set of antlers at 10 years old. That is actually more of the extreme example with 8 years old being more of a actual age to target. Today's 8 year old is what the 6 year old used to be, due to the fact that so many more places are feeding protein. Nowadays toothware is showing bucks are living longer and growing bigger at ages never thought possible. I recently had an indepth discusion with many of my peers in the hunting/ranching/deer circle. We all agreed that the majority of the hunting population have rarely seen a true mature buck. Much less seen bucks that reach 7,8,9 and even 10 years old. I am very blessed to work in an enviroment that allows me to see, study, view, hold and discuss deer on a daily basis. I probably look at over 100,000 pictures each year, hours and hours of video and visually see bucks on a daily basis. I'm no expert by any stretch and in fact I make humbling mistakes each year. I am a student of deer and the day I stop learning about them is the day I'll have to hang it up. I can say without a doudt that of the 3 key factors(age, nutrition and genetics) in managing whitetails " AGE " is paramount. When you get age on bucks you can truly see maximum potential. Building a mature age class in your herd is a strategy that has proven results. Below are examples of bucks that are beyond mature and some would be considered old. There are so many things to look at on a mature/old buck. There is NEVER just one identifier in determing age. IMO the most important thing is history and knowing your herd. Bucks are like humans in that some age better than others. But I will say this..... A old bucks will look OLD no matter what angle or situation your in. I hear guys say all time that he looks old in some pictures and not old in others. If thats the case he probably isnt as old as you think. Keeping your age classes in check allows a nutritionally and socially healthy herd, and it is only achieved when mature bucks are present. Start determining what mature is to you and your management plan. Some examples and identifiers when determining age of bucks. A long legged 3 year old.... DOn't make the mistake and kill him. Look at the Callouses on this 7 year old. 6 year old on the left and a 8 year old on the right. one on the right shows some age with his low hanging ******.... seriously I look at how they hang to help in aging. The older they are the lower they hang down.... Also notice both of these bucks are showing good calouses on their knees. These callouses really start to show at 5 years old. 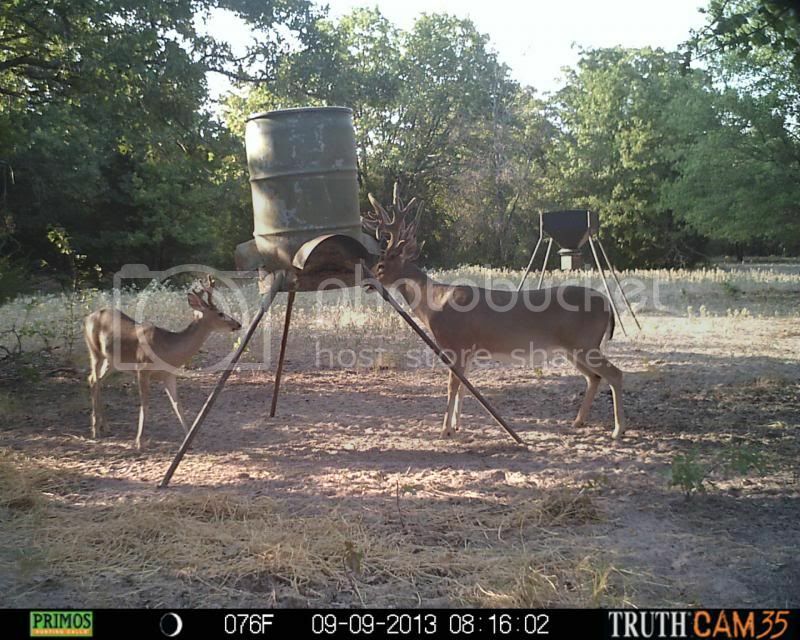 Its a good indicator for a lot of bucks in determing maturity. 7 year old. triangle nose, long body, full chest. He looks mature but not old. Also notice his hair is not as slick as younger bucks. Older bucks get scarred more and their hair can be more mangy looking. Another healthy 4 year old.... Bucks like this are what make or break you. Shoot him this year and you just shot your 180+ buck in 2-3 years. This is a perfect example of a "Mature" Buck he's a 6 year old. Triangle shaped nose, deep barrel chest. This is a 7 year old buck. Look at the callouses on this 7 year old bucks knees. OLD OLD OLD..... way past his prime. We've hunted him for the past 2 seasons. Believe me or not he jumped the high fence last year while we were hunting him pretty hard. He jumped back over later in the season. Too bad he had broken some points when he did. Old bucks are something else, I would love to see what he looked like 5 years ago. 7 year old buck... Lots of identifiers on this one... other views show scars which I look at as well. Not many young bucks have scaring due to fighting. Triangle nose on this 7-8 year old buck. We've hunted him for 3 seasons. He also has a busted right eye. Ussally a good identifier for mature bucks from being in some serious fights. Another OLD one... probably an 8 year old typical buck. He has a torn ear on the other side. Torn ears are a good identifier for older bucks. Ive seen young bucks with torn ears but it is a rarity. Last edited by FCTrapper; 09-14-2013 at 01:42 PM. Last edited by FCTrapper; 09-14-2013 at 01:39 PM. Last edited by jshouse; 09-14-2013 at 01:17 PM. What's your opinion on this buck here? What would you guess the age of this deer to be? Great writeup. Trail cams have done more to save young bucks than any management tactic ever implemented on open range. There is NOTHING like having seen hundreds of pics of a deer before he walks out the first time with all his shock effect. that has gotten many a 3.5 year old killed. I see 4.5 as being mature due to skeletal maturity. I try to only shoot 5.5 yr olds and up due to giving them time to put on their best antlers. Truth to be told, it is very difficult to accurately determine between 4.5 and 5.5 without prior history. Even tooth wear has been proven to not be so accurate these days. Removing the teeth and sending them off to be examined is the only fool proof method. 6.5 year old deer start looking old with loose skin and wrinkles, sway back with a belly. Very good write up!! I think mature is 5.5 or older. With that being said, we make sure bucks are at least 4.5 on both leases I hunt. Great read! Might be great as a Sticky! Great thread...thanks for taking the time to do that. Great write up. Definitely a great refresher right before season. Agree with everything you wrote FC. I personally started seeing less tooth wear across the board last year on the bucks we took. It was our 7th year feeding protein. Im on a low fence place with pretty decent neighbors so I have changed our target age for trophy bucks to 7.5 with some 6.5 if they live near a fence line. Like I said, they are pretty good neighbors but they shoot trophies at 5.5. Im hoping this is the turn of the corner for me. Up till now the only real difference I have seen in 7 years of feeding protein has been a significant increase in body weight and a significant increase in droptines. Im hoping now that the bucks' teeth are lasting longer and enabling them to get old, the protein will start showing a significant increase in antler size as well. I will post up some pics as well when I get a chance. I saw an ancient buck years back. Was ratteling for the wife and he came out behind her about 100 yards up a hill in a tiny opening. She could not see him. He looked like he had been through a tornado. Fur going in every direction. Great write up. Super pics and lots of wisdom. The only thing that I have not seen on our place or on our corp lease is better racks once they go past 7. We have had many go WAY down at 7 and 8 with some having their best set at 7. Our tooth wear still looks similar to the boards and cementum tests are in line with our judging. Could be the sand and gravel or we just don't protein feed as heavy as heavy as others. Lots of fun learning about other's experiences and results. Thanks for taking the time and posting. Great read and examples! Glad to have so many guys on here with proven track records to share their wisdom. I aint got a dam deer one thats over 5.... they get shot by neighbors! The 90% of weekend warrior deer hunters age deer by antlers... if its over 13 inches shoot it! Last edited by ducks-and-bucks; 09-15-2013 at 01:23 AM. You ought to hear all the shots opening morning, and all the 1 and 2 yr old deer on my camera. More than once I've passed on a deer, watched it cross the fence... BOOM! Hunt In: young and shackelford co. I know a guy that sends off the bottom jaws of all the deer killed on his place in shackelford county. He got the results the other day and two of them where 11 years old. 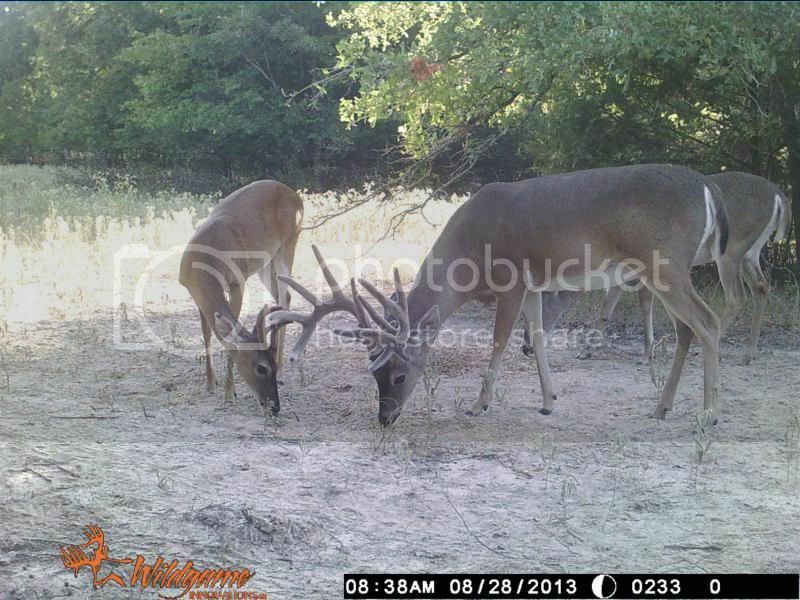 can u show pics of the buck that declined at 5.5, with his 4.5 pics too? This is a common!!!!! 4 year olds tend to rut the hardest and run the roads the most. They are just like 18 year old kids with a fast car. Haha. I see many bucks drop or stay the same from 4 to 5 years old. They tend to bounce back (depending on conditions) after 5 and rarely go down due too heavy rutting activity. It's almost as if they figure things out. Just like the young bull and the old bull story . You are correct in the fact Nutrition and range conditions always play a factor in antler growth. Bucks tend to decline once they can't feed themselves due to toothware which limits their nutritional intake. Knowing your herd and tendencies of certain bucks allows you to manage different bucks differently. We like to let the bucks that are protein hounds live a year or two longer. Bucks that don't live in the feed pens all summer will be more on the target list. Also we look at personalities of bucks. A buck that is super aggressive and dominant tends to not make big jumps in antler size. The more reclusive docile bucks are the ones that I let get old because they will be less likely to get run down. Then allowing them to have a jump on antler growth the next year. The biggest bucks actually breed the least of all the bucks due to their introverted personalities. One Interesting observation that I have was when we had one MONSTER young buck (named him DumDum) at 3 years old and he was super gentle and we would never see him rutting or display aggressive behaviors for several years. Then one year we shot a big dominant buck (130 class 8pt) that lived in the same area. After we shot that buck dominant buck DumDum became a breeding and rutting machine. We figured he was so oppressed / bullied by the other buck that he just stayed to himself. Once the dominant buck was gone he rutted hard and never did become the monster we had hoped. Knowing your herd will allow better opportunities for growing big bucks. I've hunted East Texas a long time as well but we started heavy supplemental feeding in the mid 90s and have seen a lot better results. It's true ETX doesn't have the natural mineral and protein that's available in STX, and without a protein boost (and softer food to save their teeth), it's possible they may peak earlier. However, something to remember is that 4 and 5 year old bucks are like young 20-something men and they will rut like crazy. When they do that, their bodies get run down and their antlers can pay the price the next year (but they usually bounce back the year after). Sometimes a deer will make his biggest jump between 5-6 or 6-7 because his skeleton is finished growing and more energy can go to growing the rack. The main problem with ETX (and most other areas in TX) is age--not nutrition. There is usually enough rainfall to plant great good plots throughout the year even if you cannot afford a heavy supplemental protein pellet program. Most places are smaller acreages and there are tons of hunters. If your neighbors don't share the same philosophy, it's hard to let bucks reach that age unless you have the luxury of large acreage and/or a high fence. Being from ETX and hunting there my whole life, I can say that a super majority of hunters have never even seen a buck over 5.5 years old and it's not for lack of trying. When lots of bucks are killed at younger ages, it destroys the target "trophy" age class. If you think about it, of the three main ingredients for growing big bucks (age, nutrition, genetics), there is really only one that hunters can control--regardless of his financial resources or geographic location. I think ARs are going a long way to help that and allow bucks to survive a year or two longer until they reach skeletal maturity. There are big (and older) deer in ETX, just not as many as STX. Hahahaha! I posted the young boy analogy at like the same time! Good luck this year--y'all have some beasts on camera and all the rain we got in STX is gonna make this season really interesting. i read something the other day, maybe on here, that was saying how certain bucks have been shown to have a huge jump in antler size the year after the "bully" was killed. they attributed it to the stress that some of the 2-3-4 year olds are under from being bullied around, once that bully is gone they are able to "let go" and have shown huge jumps. it would be very interesting to see something from your place that made it to 6+ to see if they would bounce back, like FCT said. The social hierarchy of Whitetails is pretty amazing. When we got this ranch it had 4 interior high fence pastures. We tore down 22 miles of interior fence almost immediately. Talk about a social structure mayhem!!!!!!! It was very interesting to say the least , looking back now I would bet the stress factor was real high. We still have bucks that don't cross the invisible fence line. Great job FCT. Many folks never have the opportunity to see many if any older age class bucks. It's a real priviledge to get to spend time around a herd that has lots of older class animals. Aging older whitetails can be a real art and challenge. As you said, nothing beats...'Know thy herd!'. Agreeing with you I think 7-8 yrs old is the sweet spot for most bucks in well fed herds even here in Louisiana. Very interesting. Also goes to show why culling bruiser 8s and 9s isn't just a fun way to let friends and family kill a dream buck. It's actually letting those young 10s and 12s get more time at the feeder and take home a few more ladies. FC, love the information. Thank you. If you've been in management hunting long enough what FCtrapper has posted becomes the obvious trend for mature buck opinions and the 4 to 5 year old drop in horn size due to peak rutting age and "the toll it takes on a 4 yearold". I've had many years of thinking one way or another about management and what's mature. After all the protein feeding on one place I had,the aggressive culling on one place I had and the years of running trailcameras I've see a lot of things change my views. Now the cruise control is set on my management views on age and culling. I believe 4.5 is mature in most cases but maybe still too early to shoot a buck for his full potential. Our bigger scoring bucks average 6.5 or older. I don't like culling too many bucks but agree it can be done for carrying capacity mainly. I've seen too many 5.5 yearold 115-125" "cull/management" bucks slip through the cracks that turned into great 140-150" class bucks. I've seen a few visually messed up horn bucks "most people say inferior" turn into respectable 130" bucks with normal racks the very next year. None of those bucks had noticeable wounds or injuries either. Not even any evidence of a damaged horn in velvet. Just grew one side or both poorly and abnormal the one year. For us mature is 4.5 old per our biologists opinion on skeletal structure and we agree. The full potential of a buck is the real gamble but for us its usually 6.5 old or older making it somewhat easy to stay away from mistakes. Great write up. We averaged 7.5 on the bucks we harvested last year on our pasture. All these deer had sagging briskets, scars, and worn knees. I use to think huge body meant old age but I changed when we shot a 3.5 to 4.5 old management buck that field dressed 185. Deer are like humans, genetics plays a big role in their antlers and their body size. We have two strains of deer on our lease. Do they really go down, or does their score go down? Building a rack is a process. Lots of times from 4-5 there is a shift from tine length to MASS. This lowers the score, but increases the antler volume. It's a function of B&C scoring bias, not antler size. Many interpret not making a big jump up as going down. Drives me nuts. Only pic I have of the one I shot is of him after I shot him. I have had two computer crashes since then. Like I said though, I have been in other areas of East Texas that the deer seem to keep getting bigger till 6+ years old, but in certain pockets the growth does seem to stop at an earlier age than the other places. Last edited by Javelin; 09-15-2013 at 12:33 PM. The one I killed lost tine length, but mass didn't change that I could notice. Now the one I described that my dad killed lost lots of stuff, points, spread, score, everything except mass at 6yrs old.